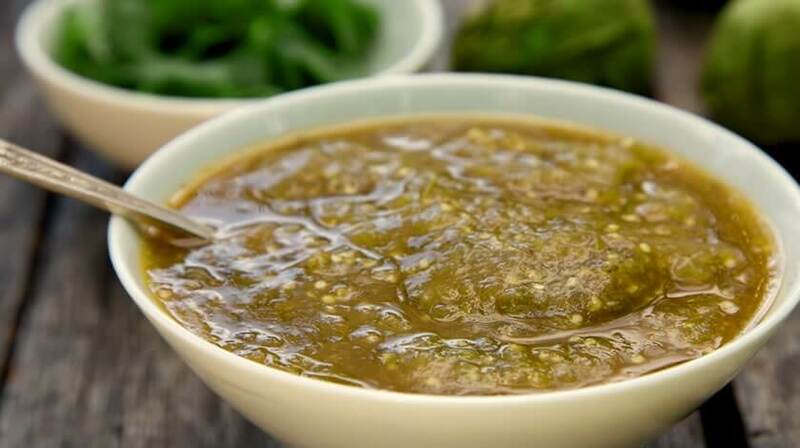 Place tomatillos, onion, garlic and cilantro in a large saucepan with 2 cups water. Bring water to a boil, reduce to medium heat and cook for 20 minutes. Empty contents along with 1/2 cup of cooking water into blender. Add TABASCO® Chipotle Sauce and salt. Puree. Heat oil in a large saucepan over medium heat. When hot, pour in salsa and reduce for 10 minutes. Transfer to a bowl and cool to room temperature before serving. Serve as a topping on tortillas filled with Grilled Skirt Steak & Chipotle Onions or Chipotle Brined Chicken Tinga. Drizzle onto Cilantro Lime Rice, Chipotle Pinto Beans or most any savory food.